All India Management Association AIMA issued the online application form for the entrance examination MAT 2014 (Management Aptitude Test) for the admission into various professional management courses like M.B.A and P.G.D.M. at various management colleges and universities across India. There are lakhs of students appeared every year. Alike this year, lakhs of students are waiting for the online registration or MAT 2014 Application Form Download for the session 2014-15. How To Download/Register Online for MAT 2014 Application Form? All those students who want to apply online, visit the official for the online registration of MAT 2014 Exam http://apps.aima.in/matmay14 (will start within few days) and fill all the required information as provided. Students can download directly the MAT 2014 Application form from the official website of AIMA – www.aima.in. Candidates can also obtain application form through Demand Draft (DD) of Rs 1200/- drawn in favor of ‘All India Management Association’ should be payable at Delhi from any bank. 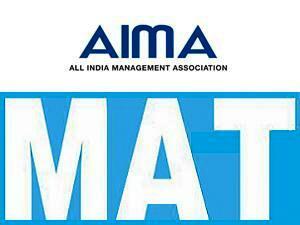 To get more information regarding the Management Aptitude Test MAT 2014, you can visit the official website of All India Management Association AIMA aima.in or please visit the following page explaining all the information in detail.